Went to pick him up at my sister’s were EL MOOSE chatted with his younger brother. Headed up to the stadium section after that. Try to guess the race cars!!! Then it was up the Turn one hill (easy side) to set the folding chairs and watch some more racing! They had a 2008 Benetton F1 in the mix running the same times as an old Ganassi Indycar (or CART) and several others from different open wheel classes. I kind of figured it would run away with the victory but it finished 6th or something like that. 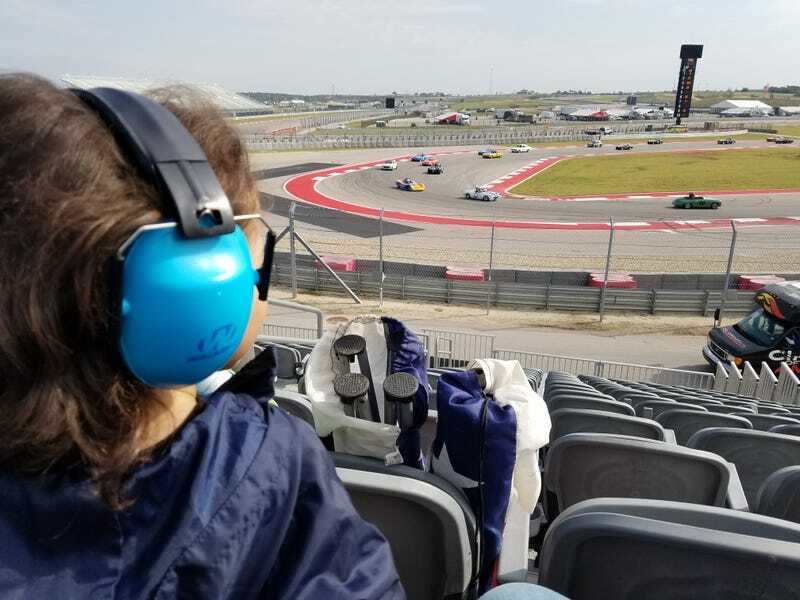 Went down to the hill back to the Grand Stands to see the last race which consisted of GT cars (Porsche 997, Corvette, Mazda RX7) LeMans Prototypes (a bunch including Mazda 787B and 767B), and 4 NASCARs. If the Mazda’s noise wasn’t already hella loud at full revs and 20 feet away to blow your ears up, the chasing NASCAR group did. Holy hell the noise was INCREDIBLE!!!!! The potato audio does it zero justice. Mazda 787B and NASCARs at full blast so close made my heart vibrate! Props to the NASCARs keeping pace with elite European race cars, more respect for those beasts.